Thursday saw our final working day here in Dubai, and what a busy one that was! All of our days in the office have flown by and Thursday was no exception. We had an awful lot to get through each day, making sure we’d spoken to the people we needed to meet, updated our client with progress and contacted those not in the office by conference call or Skype. By 10am on Thursday we’d already ticked off two meetings, so the going was good! During the day, we made sure we pinned down those remaining on our list, and we’ll also follow up with a couple once we’re back in the UK by Skype. It’s important to us that everyone in our client’s business knows what we’re doing and has the opportunity to input into it. After a quick lunch and a final meeting, we then spent a couple of hours in the office showing people our updated designs and letting them know our next steps before packing up for the weekend. The weekend was welcomed warmly, especially by me! As I went home to fall asleep on the sofa in true Friday-night style, Jonathan took to the Metro to explore a bit more of Dubai. 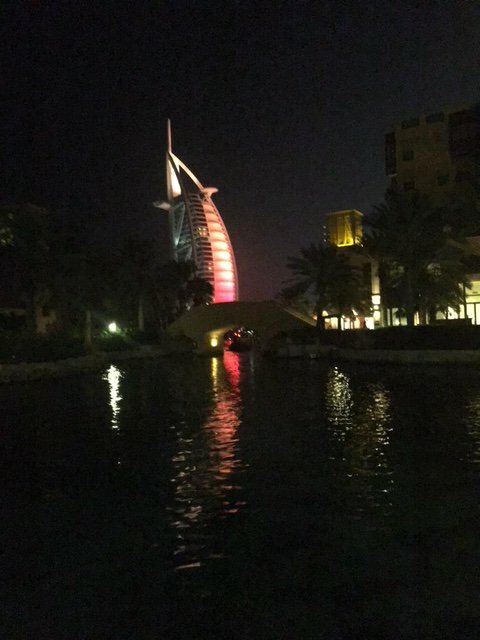 He travelled down to the Marina area which benefits from spectacular ‘city-scapes’ at night. On Friday, we met up for brunch; this is lunch on a Dubai scale, with all-you-can-eat and all-you-can-drink buffet lunches taking place in countless hotels and restaurants across the emirate. 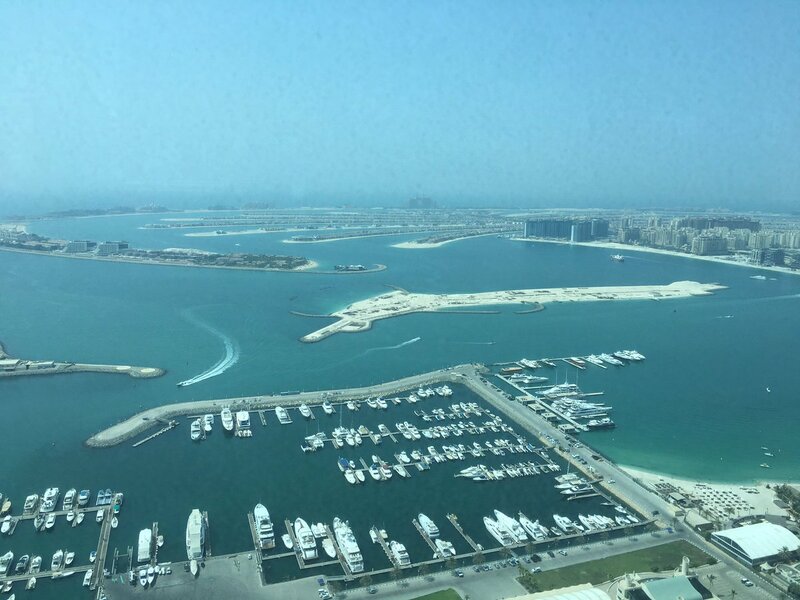 We visited The Observatory in the Marriott Harbour hotel, with fantastic views of the Palm and the Marina from the 52nd floor. The rest of the day was a bit of a blur but it’s fair to say we enjoyed some R&R time. Saturday was a sightseeing day, albeit with a bit of a fuzzy head in the morning. 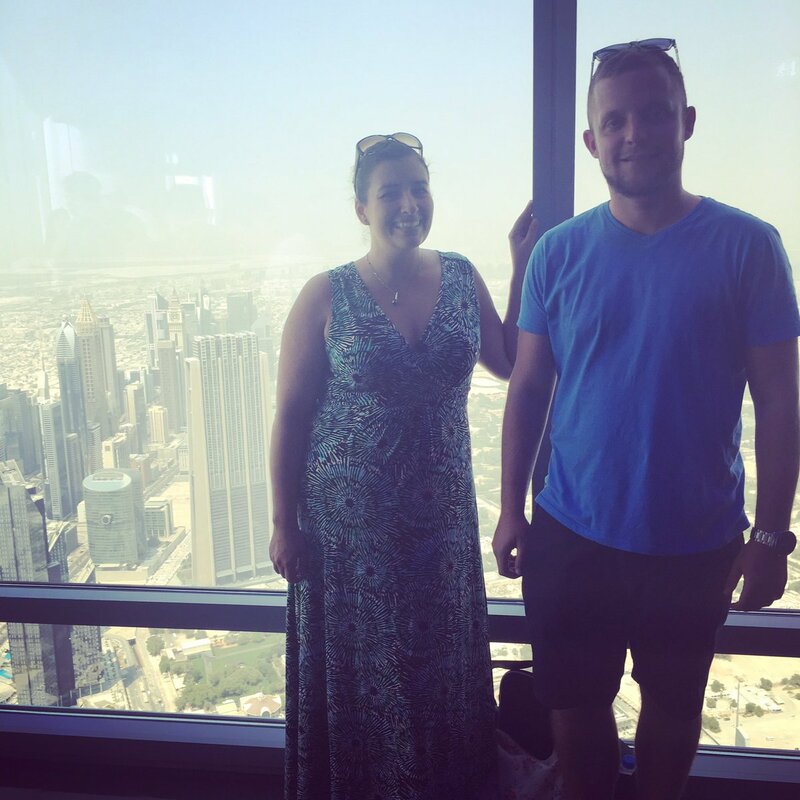 We went to ‘At The Top’ at the Burj Khalifa, visiting the observation area on the 124th and 125th floors and ticking off a major ‘tourist’ box for Jonathan. We also managed to fit in the Palm and Jumeirah Beach, with a couple of other photo opportunities to boot, so a day well spent. At midnight, it was time for JG to go and get his flight; as I write this, I am waiting for mine, although my travel arrangements are proving a little more stressful! VG & JG sky high! Next PostNext Meet the Experts at Wigan Business Expo!